flowers in my books: TTT #2 - Recently Added To My TBR. As always Top Ten Tuesday is hosted over at The Broke and The Bookish. This weeks prompt is 'Books you've recently added to your To-Be-Read list'. I've been trying to not add as many books to my TBR recently because it's already looking pretty hefty but these are some books that I absolutely could not forget about. Alienated just sounds like a really fun, quick read that I could finish in an evening. I need more of those types of books in my life. I've never read a Victoria Schwab book but this one doesn't seem like a bad place to start. In fact, all of her books sound so interesting and make me wish that I owned them all so A) I could stare at the pretty covers and B) read them. The Geek Girl series is an Auto-Buy series for me. Whatever it is that Holly Smale publishes, I'll want to read it. I can't get enough of her writing or Harriet Manners. 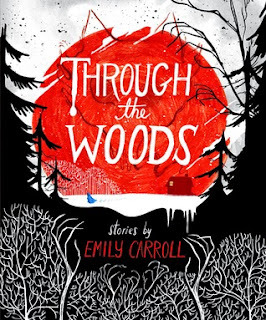 I've heard such wonderful things about Through the Woods and I've been wanting to read more graphic novels. I'm really curious about this book. The synopsis makes me want to read it SO badly and I do whatever the synopsis tells me to do. Also, both covers are GORGEOUS so you can't fault that. I mean, honestly, this book is just everything I need. I want it, I need it, I love it (I haven't even read it). Italy and hot musicians are two things I can never refuse. Put them in a book together and make one the love interest and I am on that faster than you can say 'Michael Clifford'. It sounds like it has a lot of murder and blood and guts and if there are three things I'm always down for it's murder, blood and guts. I just, I want to KNOW. I thought I wanted to read this book until I just re-read the synopsis and realised that it is actually a pregnancy story so, nope, removed from TBR forever. Sorry. I enjoyed reading Alienated and I Was Here is a good read too. 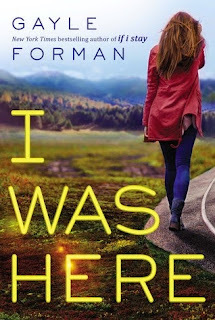 I have I'll Meet You There in my TBR pile. I have heard such great things about it and I can't wait to read it soon. I definitely need to get onto Alienated and I Was Here soon. I've been hearing such good things about them. Hahahaha, Michael is by FAR my weak spot in 5SOS. All he has to do is turn up at an event and I'm pissed off with him. Ah, I'm excited about I Was Here! Especially now that you said you loved it. I hadn't heard of A DARKER SHADE OF MAGIC until today, but it is on EVERYONE's TTT lists. Guess that means I need to read it, huh? It looks awesome. 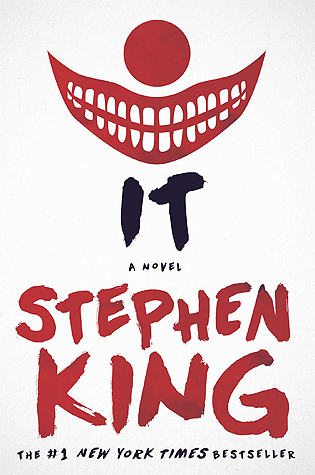 You should definitely read it, everyone whose read it said it's incredible. I just finished ADSOM - it was really good, totally unique! I cannot wait to read I'll Meet You There, I need to get on to it soon! That makes me so excited to read it! Eeek. 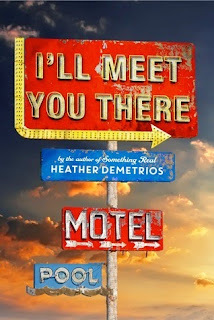 I'll Meet You There is definitely high up on my TBR list, it sounds like something that'll completely draw me in from start to finish which I've been lacking in contemporaries recently. Thanks for stopping by and leaving a comment, Missie. I hope you enjoy them all :) Thanks for stopping by! I've read Alienated it was pretty good. I've had The Murder Complex in my tbr forever...really need to make it a priority. I know you said you dislike pregnancy stories but omg How to Love is so good! It's a lot more about the aftermath of the actual pregnancy though if that makes a difference to you and it's just such a beautiful, heartfelt book. If you can manage to be convinced otherwise, I highly recommend you read it! After what you said I might be willing to give it a shot hahaha. If I can get it on iBooks for relatively cheap then I'll pick it up but I'm still hesitant about it. :) Thanks, Annie!! Love, Lucy has been on my tbr list ever since I first heard about it.. it sounds so good! 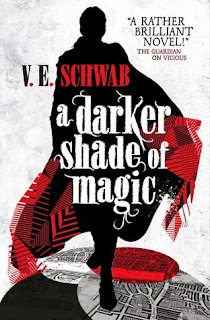 LOVE the cover for A Darker Shade of Magic too! It sounds like an excellent, fun read :) YES THE COVER FOR ADSOM IS SO PRETTY. AHHH. ADSOM is like… three books away on my TBR pile. I can’t wait to get to it! THIS IS MAKING ME SO EXCITED. I NEED TO BUY THESE ASAP. EEEK I hope you enjoy it!!! I've already read Alienated myself and it WAS a fun read. 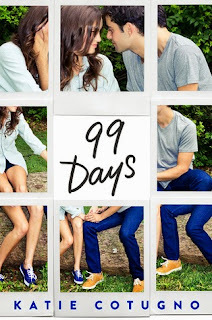 ;) I'm currently reading 99 Days (sort off--I'm reading other books in between) and it's not my thing. But I think it's Katie's writing that's just not for me. 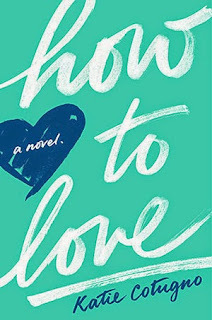 :( Good thing you removed How to Love from your TBR... That made me rage for days! I don't mind pregnancy books, but ***SPOILER*** the cheating was really bothersome. I'm so excited to read Alienated now! Ah, I'm sorry abot that. It's annoying when the writing just doesn't grab your attention. Oh noooo. Cheating and pregnancies in books are two things that make me mad hahaha.